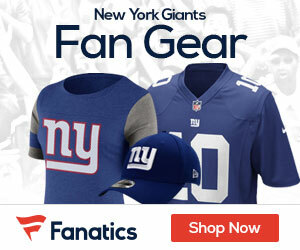 « Giants Gab Super Bowl Trivia Contest for a New FLO TV! One of the most difficult scouting projects is grading an inconsistent player. When a player alternates between performing well and performing poorly, the issue is no longer a matter of whether or not he has professional-level potential. The question that has to be answered at that point is why there is a performance variance and whether or not the issue causing the inconsistency can be corrected. I bring this up because Tennessee senior defensive tackle Dan Williams (#32 in Todd McShay’s Mock Draft 1.0 and #18 on Mel Kiper’s latest Big Board) may be the most inconsistent player I have reviewed in the Draft Lab series. I graded six games of Williams’ 2009 season (at Florida, vs. Auburn, vs. Georgia, at Alabama, vs. South Carolina, at Ole Miss). He has a reputation of being a run-stuffer, but in the first two contests, Williams won only one of the seventeen Point of Attack (POA) run blocks he faced. It wasn’t a matter of his being double-teamed, as he faced only one blocker on twelve of the seventeen blocks. In addition, it is worth noting that the runners gained 70 yards on the runs, so it also wasn’t a case where Williams plugged the holes without beating the blocker. Now contrast that performance to the Week Six game against Georgia. Williams faced seven POA blocks and won three of them. Georgia runners also gained only 11 total yards on those carries and five of them resulted in a gain of two or fewer yards. The scouting eye and metric eyes were in agreement that Williams was hustling much more in that contest. Proof for this can be found in that all three of his wins came when he defeated a blocker on the backside of the run and then pursued the ballcarrier down. That is a rare and very valuable trait that shows just how good Williams can be when his motor is running. One surprising finding was how good Williams did in the splash play department (a splash play being when a defender does something to negatively impact a pass). His 11 splash plays in six games isn’t in Ndamukong Suh territory but it does rank quite well with the Draft Lab findings for Gerald McCoy (10 splash plays in five games) and beats the marks posted by Marvin Austin (three in five games) and Terrence Cody (three in four games). Williams’ high splash play total was generated in part because he has a very effective swim move. He also has a superb spin move that he wasn’t able to get much success out of because the Volunteers faced so much zone pass blocking. If he gets with an NFL team that can put him into more man-blocking situations, Williams should be able to get more than a few splash plays with this move. For all of the positives listed above, my scouting eye was consistently reminded of the inconsistency issue and it led me to ponder the question posed at the beginning of this article — what is causing this issue and can it be corrected when Williams gets to the next level? How much better are you moving at the lighter weight? DW: I’m around 320 right now and able to last a lot longer out there and play a whole lot harder. When I first got here as a freshman, I was 357, but I told myself I was never going to see that weight again. It was just too much good eating. I sort of fell off again after last season when I went home for the holidays and we didn’t go to a bowl game. I got back up to around 340 and wasn’t watching what I ate. But once spring came and the coaches talked to me, I knew had to get back down to be the player I wanted to be and for the good of the team. What kind of impact has Ed Orgeron had on your development? DW: He’s been pushing me since he got here. That’s the main thing, and I’ve also learned a lot from him film-wise and about offensive schemes. The main thing, though, is the way he’s driven me every day in practice and helped me become a better pass-rusher. Back in the preseason, they had you listed with the second team. Were they just trying to motivate you? DW: I really don’t know. I just know these coaches are going to play the best players. I guess my practice habits weren’t as good, and I wasn’t meeting their expectations. I had to change the way Dan Williams was practicing. The way I practiced with the old coaching staff wasn’t going to get it. I had to get my mind focused and show these coaches that I was one of the better players on the team. The upside of this is that Williams realizes his habits weren’t what they should be. He also realizes that he does better when paired with a coach who will stay on his case on a consistent basis. The Football Scientist Lab Result: Williams may be a high-maintenance coaching project but the on-field upside is tremendous and makes it worth the effort. He gets a TFS seal of approval as long as he is picked up by a team that has a fire and brimstone motivator ready to work with him from day one. Dan Williams is a player that I was not plan on profiling, but someone requested a profile so here it comes. If you have a lot of interest in a player feel free to leave a comment and request and I’ll get to him, the bottom of this page has a list of already completed profiles. The next profile I have coming up is probably ILB Sean Lee out of Penn State (but I’m working on like 8 others)…I’m just waiting for some video of Sean Lee before I post the profile (it’s already written). Dan Williams is a player climbing draft boards much in the same manner as B.J. Raji did which is not a suprise because he’s very simliar to B.J. Raji. Braced with Williams climb is the decline of Alabama NT Terrance Cody. Williams and Cody are the two highest rated 3-4 nose tackles in the draft becuase both are very big bodies who are exceptional vs the run and fit the mold of what teams are looking for in a 3-4 nose tackle, but with Terrance Cody looking like he ate former Baltimore Ravens Tony Siragusa his draft stock is plummeting. The question with Dan Williams is this: is he purely a 3-4 nose tackle or can he also play the 4-3 in the N.F.L? Born June 1, 1987. 6’3 277 pounds. Senior. Career: 153 tackles, 7 sacks. 2009: 62 tackles, (30 solo) sacks. Dan Williams was faily productive statistically. But was even more productive based on impact. Scouting Report-I decided to go back and watch some of Williams games from last season, because I keep hearing how he’s come on so big this year and is so dominant and really climbing up draft boards. What I saw was basically a mirror image. What Williams is, is a great nose tackle prospect. He’s a classic wide body, with a squatty physique, low center of gravity, and legs like telephone poles. He’s a classic zero technique nose, with lots of power and leverage. He’s probably quicker than he is fast, but he does make good decisions and makes them quickly which gets him into the backfield. He’s got good explosion, can beat the double team, and does a nice job finishing the play. He’s a typical big boy. He wraps up hard and lets gravity do the work. He’s sort of a poor man’s BJ Raji. Not quite as athletic, not quite as strong and not quite as disruptive. Troubling to me is he seems pretty slow afoot which I realize makes no sense criticizing speed on a guy that weighs 330lbs. But compared to other giant landmasses he’s lacking some speed. And no matter what you hear, Williams is basically the same player he was last year, which makes me wonder about his upside. Draft Status Williams appears to be riding a wave of attention right into the first round. I have no problem with that, as he’s been a very good player the past two seasons and plays a position that is in high demand in the NFL. How high he’s drafted will depend greatly on the 3-4 team that is in greatest need to a nose tackle, as well as were Alabama DT Terrence Cody goes. I have seen some that have Williams rated ahead of Cody but I’m not there yet. I think Williams ends up a mid bottom third first round pick to a team like the Pittsburgh Steelers who need to upgrade their defensive line. Final Analysis I like Williams game a lot. He’s going to be a great run stuffer in the NFL and his ability to absorb blocker is going to make the players behind him look even better, because he gives them free run at the quarterback. He’s going to do exactly what is asked of him. Plug the middle, make tackles on backs and let other palyers get the sacks. He’s never going to be a great statistical player, but that’s ok. I’d love to gush about Williams, but he’s pretty much a lunchpail nose tackle. Not real fast not real athletic, but he’s really strong and he’s great at his job. If I rooted for a 3-4 team(and I do), and needed a big fat boy for the middle, I’d have no problem snatching WIlliams up in the first assuming Cody is already off the board. Mediocre work ethic in pastSummary: Monte Kiffin and Ed Orgeron really motivated Williams this past season and you worry if he will maintain his level of play on the field and in practice once he gets paid. He’s a prototypical nose tackle, and with an impressive Senior Bowl and postseason workouts, he could sky rocket up draft boards into the top 20 picks. He’ll be a great fit for teams like Miami, Cincinati, Houston, Denver, San Diego and Minnesota. Williams is an intriguing talent in a below-average defensive tackle class and is my No. 1 ranked nose tackle.Player Comparison: Domata Peko. Peko is a dominant 1-technique for the Bengals and is a true force against the run, but not much of a pass rusher. Dan Williams is a massive body who improved every year while he was in College. This past season, under the tutelge of Monte Kiffin Dan Williams was unstoppable at times. There are only two questions about Dan Williams is he the best Nose tackle in the draft (I think yes), and two can he play and be dominant in a 4-3 system (I think in some systems, yes) . Williams showed that in the tough S.E.C. he could be a force. As far as positional value goes Dan Williams plays a position that is worth a top 15 draft pick. As far as Jerry Reese’s philosophy goes (drafting Best player available most of the time) usually productive and from big schools Dan Williams also fits in with the mold. However, does Dan Williams fit in with the New York Giants philosophy? I’m not sure. Perry Fewell has run a lot of Tampa 2 (not as much as the Colts have), but enough in the past that you think he’ll lean on it heavily with the Giants. The Giants also like players who can get after the passer and that’s problem Williams Biggest weakness. These are not Dan Williams strength. He’s a huge run stopper and stuffer, but a player who is probably not a three down linemen in a 4-3 system becuase he has possible fatigue issues. The only way I think the Giants would consider drafting Dan Williams is if they release Chris Canty. To me, Dan Williams would be what the Giants want Chris Canty to be…they are very simliar except Williams is younger than Canty. I am NOT for Drafting Dan Williams 15th overall in the 2010 draft. It’s not that I don’t think he’ll be a productive player in the N.F.L. its’ just that I don’t think he’ll A) be the best player available when the Giants draft. And B) fits in with what the New York Giants are trying to do. The N.F.L. is a passing league–I’m not sure that a 2 down linemen for a 4-3 is the right way to go with the 15th pick in the draft. Now, if we hear the Giants are going to a 3-4 moving Canty to the outside. Tuck to the other side and Sintim, Kiwi, and Osi to OLB then this makes ALL the sense in the world. But I’m not for moving to a 3-4 so I don’t hope (or even see) that happening and even if they were I’d prefer to wait to the 2nd round and try to grab Terrance Cody. Dan Williams good player..not the player the Giants need. I think that is a 3-4 middle, not 4-3 middle. I believe many scouts have Weatherspoon as a 4-3 OLB. I think that I read that some scouts have Lee and Washington as 4-3 OLB in pros. The only player that seems would be a perfect fit for 4-3 MLB is McClain, but there are still questions about that. First off, Dan Williams is a much better player against the pass than we are giving credit for and furthermore the guy demands a double team which is great for the other pass rushers. What about Chad Jones as a prospect profile? I meant knocking the passer down. Dan Williams is not Haloti Ngata, whom I think could excel in a 4-3 because he’s quick and is fast for a guy that size. Williams is quick and moves well laterally, but I don’t think (and his college numbers show this) he doesn’t sack the QB often. Like I said good player, but I don’t think right for the Giants. I will also do Sean Witherspoon. Remember, a lot of people thought that Clint Sintim could play the Mike in a 4-3 defense so maybe Sintim (or Boley…especially in a Tampa 2) and Witherspoon could move outside.